These SS Socket Weld Fitting are design and developed to meet diverse working conditions. 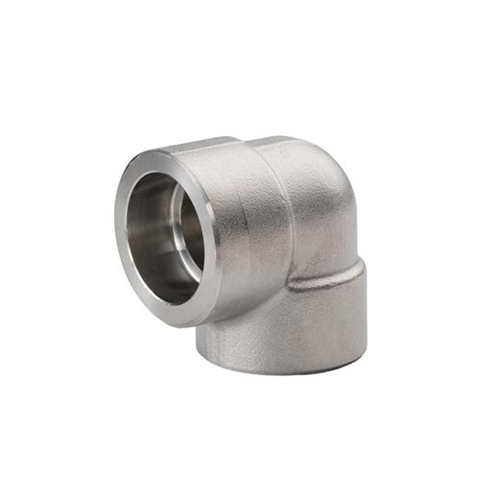 These steel socket welding fittings provide permenant welded connections for critical applications. A socket weld is a pipe attachmnet detail in which a pipe is inserted into recessed area of valve, fitting or flanges. We uphold our position as famous manufacturer and supplier of the most qualitative range of Engineering Products. Our range includes the best of Engineering Products such as IBR Pipe Fittings And Flanges, Alloy Steel Pipes Fittings And Flanges, Carbon Steel Pipe Fittings & Flanges, Stainless Steel Pipe Fittings & Flanges, 'Y' Type Strainer. We have maintained the most excellent manufacturing facility and warehouse in our organization that help us manufacture and transport the most excellent variety of products. To offer our customers with the best, we test our variety on a variety of parameters before supplying it to our customers. We can also position for a third party examination to promise high quality standards of our variety. The best technology we utilize helps us offer our clients a precision-engineered range. The knowledge and expertise we hold in this manufacturing procedure helps us cater to the widest command of our clients. We also offer the best customization capability to our customers to make obtainable the best manufacturing supplies in the country. The global Organization certifies the entire variety we offer for Standardization.